PGA Tour Pro Pat Perez teamed up with world class surfer Kelly Slater this past Monday on the Golf Channel show "Playing Lessons from the Pros". Pat and Kelly partnered up in Pebble Beach earlier this year and the Golf Channel followed them throughout the day filming their every move. 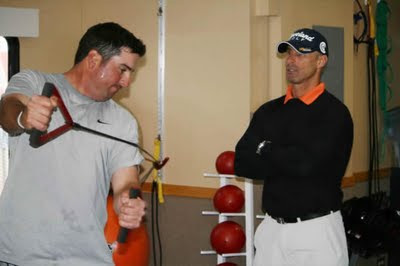 Coach Joey D was with the group all day which began in the PGA Tour fitness trailer where Pat demonstrated his golf fitness routine. The clip below shows the dedication and commitment Pat has to his golf fitness level. The explosive movement patterns he reveals are designed to add strength and speed to a very stable posture to produce the kind of shots that helped Pat win the Bob Hope this year. 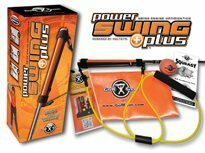 In this clip Pat is using the three of our golf fitness products, the GolfGym Balance Ball, PowerBandz and Double Handled PowerBall along with kettle bells and the Cybex machine, all of which are standard equipment on the PGA Tour Fitness trailers. 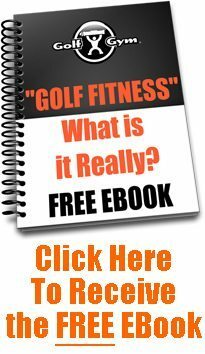 This clip is great because as much as we hear about the golf fitness routines of the pros, most amateur golfers would be surprised at the level of intensity that the players achieve. This is an every day occurrence on the Tour. 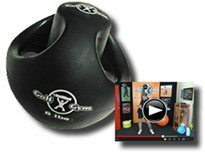 The "Big, Wide-Open" movement patterns that Pat demonstrates help to build strength and speed, but also develop more flexibility as well. 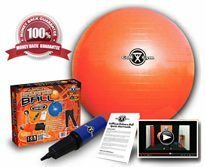 He has been working on these exercises for a long time and has developed his body to be able to keep this intensity consistently. 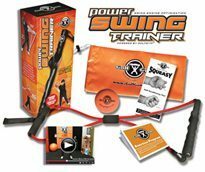 We encourage you to add these type of golf specific fitness exercises to your routine even if you are just starting a fitness program. Be sure to tone it down in the beginning to allow your body to get used to the movements and recover well. Again, Pat has been doing these consistently for over a year. Start slowly and reap the rewards. I love this great Kelly Slater a lot for his humility, and met him once when he visited taghazout in morocco,thanks for vedeo and this cool post.